The two men take the motorist's phone before attacking him in broad daylight. 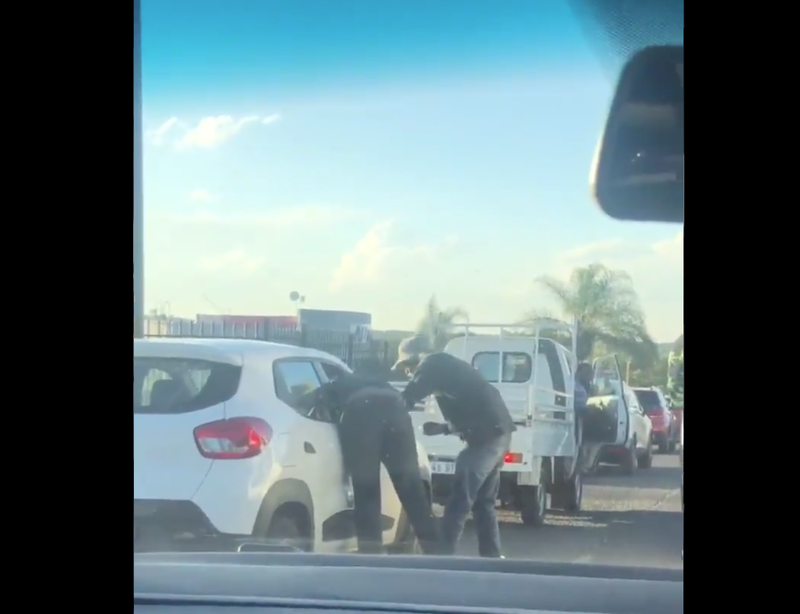 A motorist took to social media and shared a video of two men robbing a driver in the middle of traffic on Malibongwe Drive in Johannesburg. In the video, shared by Twitter user Reneilwe Sekgobela, two men can be seen walking to a white car before attacking the motorist through the driver’s open window. They start attacking him, supposedly when the driver refuses to give them his belongings. The other motorists can be seen looking on and driving away when the traffic starts moving. "We were only able to help him once those guys left, we offered to call anyone for him or drop him off so he could get his spare keys... he got beat up badly though. The car assistance people came and helped him too, I hope he’s okay now." Would you jump in and help if you saw something like this happen? Comment below.